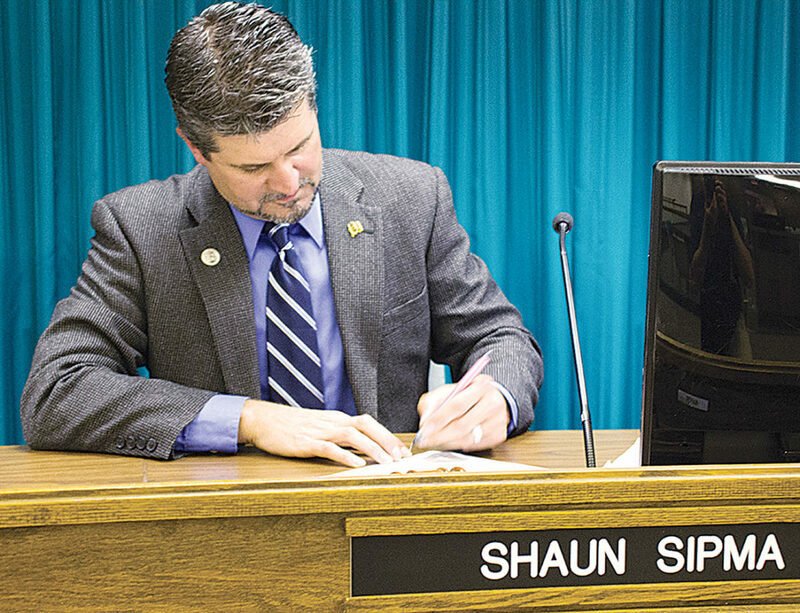 Submitted Photo Minot Mayor Shaun Sipma recently signed paperwork to finalize the sales of properties included in the city’s new Neighbor Next Door initiative. Minot’s new Neighbor Next Door initiative has successfully assisted in the sale of 15 properties, according to the City of Minot. John Zakian, Minot’s Disaster Resilience Grant Program manager and chief resilience officer, said the Neighbor Next Door initiative is patterned after programs used by many Housing and Urban Development grantees that have acquired properties to rid neighborhoods of spot blight and then offered the properties to adjacent owners to be maintained. The properties in Minot’s program were not acquired using HUD funds, but were acquired by the city through various state grants received between 2013 and 2016. The properties acquired included homes that had been seriously damaged during the 2011 flood and for which property owners lacked the financial means for rehabilitation. Zakian said Federal Emergency Management Agency encourages cities that have suffered flooding to promote programs and initiatives that result in reducing damage from future flooding. By promoting the Neighbor Next Door program, which does not allow structures to be built on the parcels, the city is using a proactive approach to meet FEMA’s goals, he said. “Returning these properties to private ownership both encourages private property owners to maintain these properties in productive ways while removing maintenance and related obligations by the city, thus reducing city operating costs,” Zakian said. Some properties were held out of this initial auction because of the possibility of uses related to flood control projects, but if it is determined that those properties are no longer needed for flood control, they will be added to the Neighbor Next Door initiative and auctioned.